I don't think it is a flower or a bug. 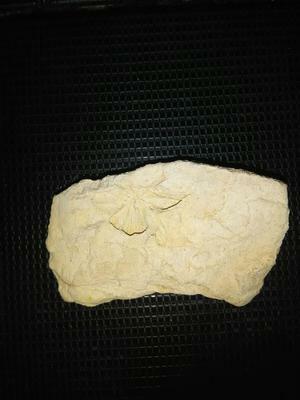 found swimming in Kansas, Seems to be an imprint of a flower or smashed bug in sandstone,the stone its in is vary thin. I don't think you have a flower or a bug both of these are rare in the fossil world. There is not enough detail in this photo for me to give you much info. I think likely this is a shell from a sea creature. If you can resubmit a larger image with some info on where in Kansas you found this I could be more helpful. 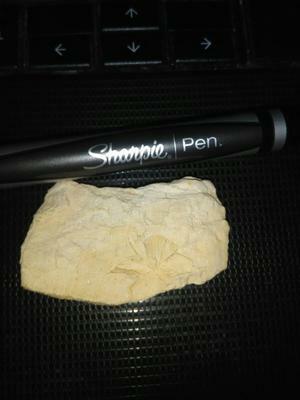 Kansas is rich in fossils. Each part of the state has different kinds.